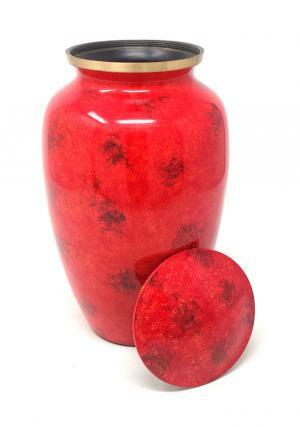 Product Details of Fiery Mist Brass Large Cremation Urn for Ashes. 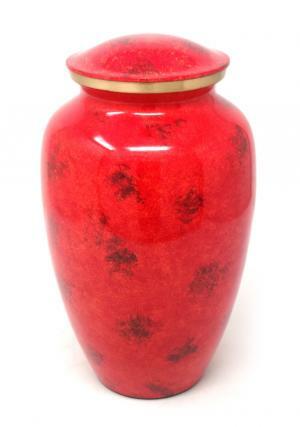 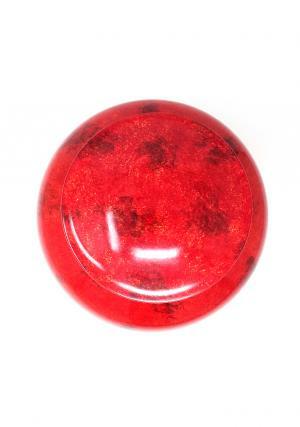 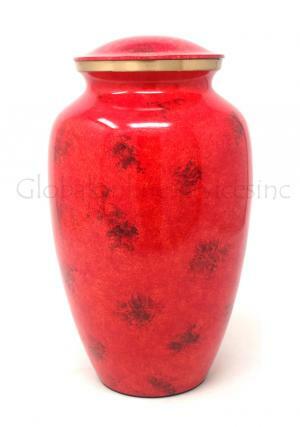 The beautiful fiery red finsh Brass cremation urn ashes intricately hand designed from skilled professionals. 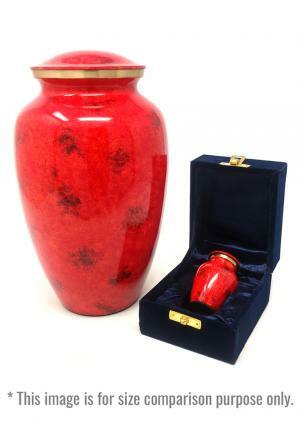 The large adult ashes urn is presented with threaded lid to secure the seal of the urn with ashes of the loved one’s. 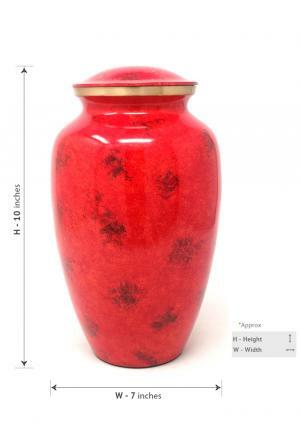 Brass adult urn for memorial ashes weighs 2.79 (empty), with dimensions as 10 inch tall, width of 7 inch which is capable of preserving 200 cubic inch of human cremated ashes in urn.